KAPPA PI 2 (G.Papadopoulos & Co) was established in 2002 in Thessaloniki. Our company is focused on electromechanical applications in the field of Energy and Water. We have high expertise in the areas of energy production and saving and we provide complete solutions for air conditioning, heating, photovoltaic systems. Our services also include water and air treatment, swimming pool construction and specialized ventilation. We offer expert design and installation of sewage treatment. 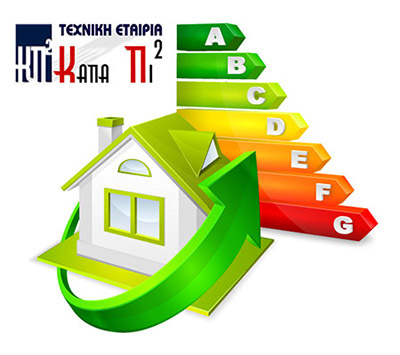 Kappa pi2 is one of the official dealers of CARRIER and TOSHIBA air conditioning providers. In the area of photovoltaic systems, we partner with top manufacturers like RENESOLA, AXITEC, SOLAREDGE and K2 SYSTEMS. We are authorized dealers of DOULTON water filters and of AQUATECH INTERNATIONAL water treatment. Kappa pi2 provides complete and cost efficient solutions in residential and commercial air conditioning (cooling & heating), central heating and hot water using renewable energy (heat pumps, solar energy), photovoltaic installation, specialized ventilation (for restaurants, industrial), pool construction, water treatment (reverse osmosis, disinfection) and sewage treatment. The continuous and seamless presence of our expert engineers is a necessity, assuring the high quality and ideal cooperation with the customer for every project we undertake. We provide continuous support and maintenance to our customers in partnership with leading companies internationally. This commitment has secured long term contracts with clients representing top local businesses. Our ultimate goal is the perfect balance between cost, time and quality in order to satisfy your expectations.